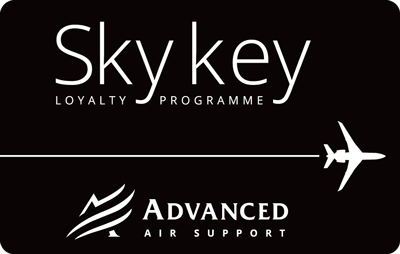 Customers who are eligible to join the SKY KEY program will have used Advanced Air Support for more than 50 handlings or will have spent more than €50,000 worth of services with us. Members will be given a membership card to present during each stopover, and will earn points every time services are provided by us. Accumulate points to enjoy any free service on us, any time you want.